AEG is finalising plans to build a major conference centre and 450-room hotel next to The 02 arena in London. 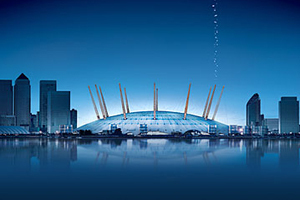 The entertainment group, which owns The O2, is working on a planning application in conjunction with Greenwich Council, the Homes and Communities Agency (HCA), the Commission for Architecture and the Built Environment (CABE) and representatives from the Office of the Mayor of London. AEG is aiming to submit a formal planning application in early 2010, when full details of the development will be revealed. The plans reportedly involve a convention centre offering around 28,000sqm of event space for up to 3,000 delegates, and an associated four-star hotel. AEG Europe & The O2 head of communications Lucy Ellison said: "AEG is considering options for the development of a 450-bed, four-star hotel, and this will include a significant events and banqueting centre. "We are in the final stages of the planning application with Greenwich Council, HCA, CABE and representatives from the Mayor's office and hope to announce further details early in the new year."